WOW!! What beautiful horse property on 5.17 acres 30 minutes from downtown Denver. You get country living and city living in the same location. With a community arena, bridal paths and wildlife veiwing just out your barn door. 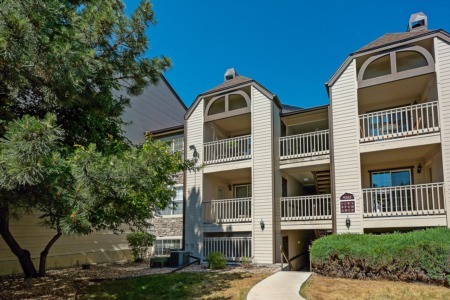 Need more activity, less than 15 minutes from two state parks and Waterton Canyon, or maybe you just kick back an enjoy the beautiful views off your decks. Come see this wonderful property and make it your own. Listing provided courtesy of Frank Realty. SchoolsClick map icons below to view information for schools near 7735 West Trail South Drive Littleton, CO 80125. Home for sale at 7735 West Trail South Drive Littleton, CO 80125. Description: The home at 7735 West Trail South Drive Littleton, CO 80125 with the MLS Number 8296851 is currently listed at $794,000 and has been on the Littleton market for 71 days. You are viewing the MLS property details of the home for sale at 7735 West Trail South Drive Littleton, CO 80125, which is located in the Plum Valley Heights subdivision, includes 4 bedrooms and 3 bathrooms, and has approximately 2731 sq.ft. of living area.